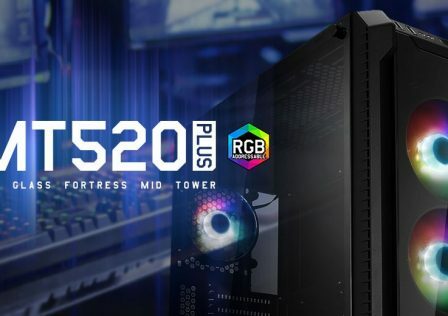 2019 is looking to be a busy year for Cooler Master with the company releasing a slew of new products this year after quite a few announcements during CES 2019. Included in the batch of releases was a whole new lineup of mechanical keyboards. In this review, we’ll be taking a close look at the Cooler Master MK730 which is a tenkeyless mechanical gaming keyboard featuring the Cherry MX Red switches. Tenkeyless keyboards are targeted more towards gamers as the tenkey layout is completely useless in modern games. 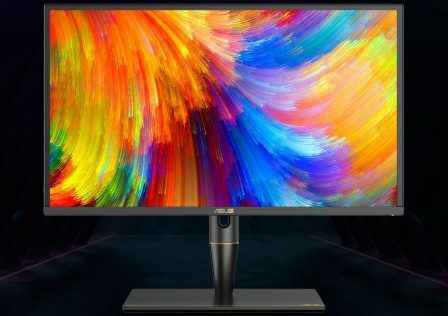 It also provides a smaller design allowing the keyboard to center with the monitor better while taking up less desk space. If Cherry MX Red switches are not your preferred flavor, the MK730 is also available in Blue or Brown switches as well. Red switches feature a lighter actuation force with a linear, tactile-less feel to them. 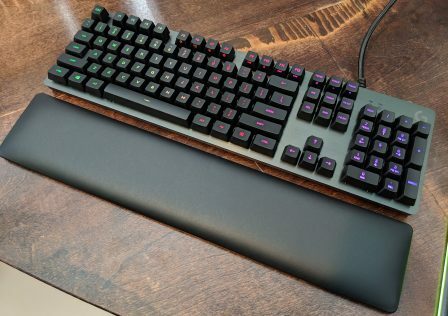 In my option, Brown switches are probably best for dedicated gaming with less typing, but each user is different and it’s mostly about preference. 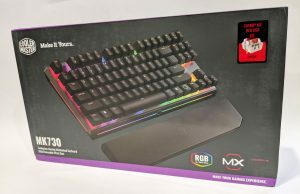 What sets this keyboard apart from other keyboards such as the Cooler Master CK530 is the included magnetically attached palm rest which has the ability to affix itself to the keyboard or float in front of it for those with larger hands. We’ll get into detail about the palm rest later on in the review. 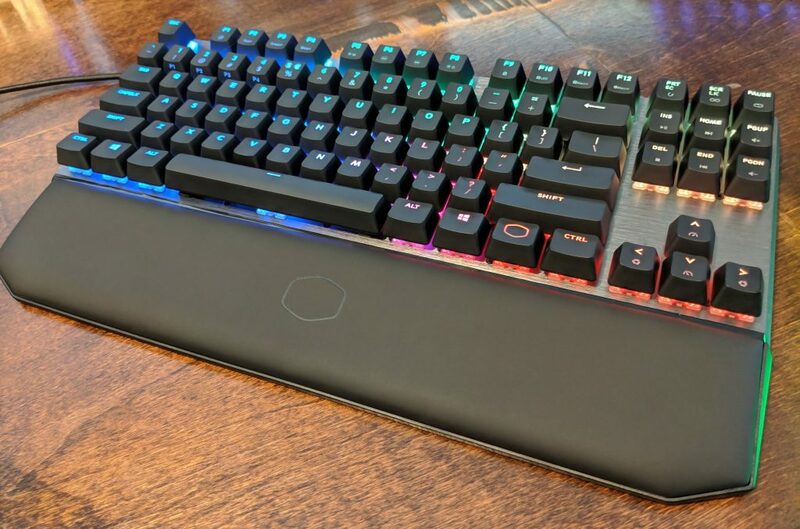 Alright enough intro, let’s dig into the review by first taking a look at some of the detailed specs of this keyboard. 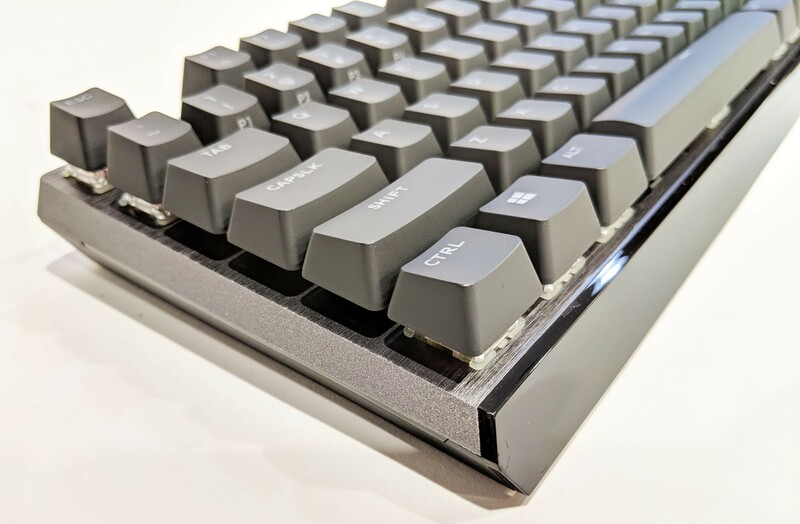 The MK730 features a brushed aluminum design on the surface with floating keys above said surface. This definitely provides a clean look while allowing for easy cleaning as there is less places for dust and debris to hide. The Cherry MX switches which float on top are rated for up to 50-million key presses. 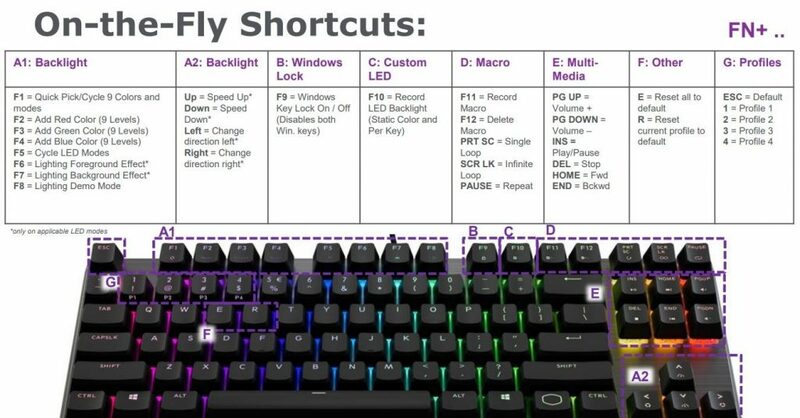 Each switch and key is illuminated via isolated RGB LEDs which can be programmed individually by the user using Cooler Master’s Portal software. The included wrist rest magnetically attaches to the front of the keyboard to prevent it from sliding or shifting around during gameplay. 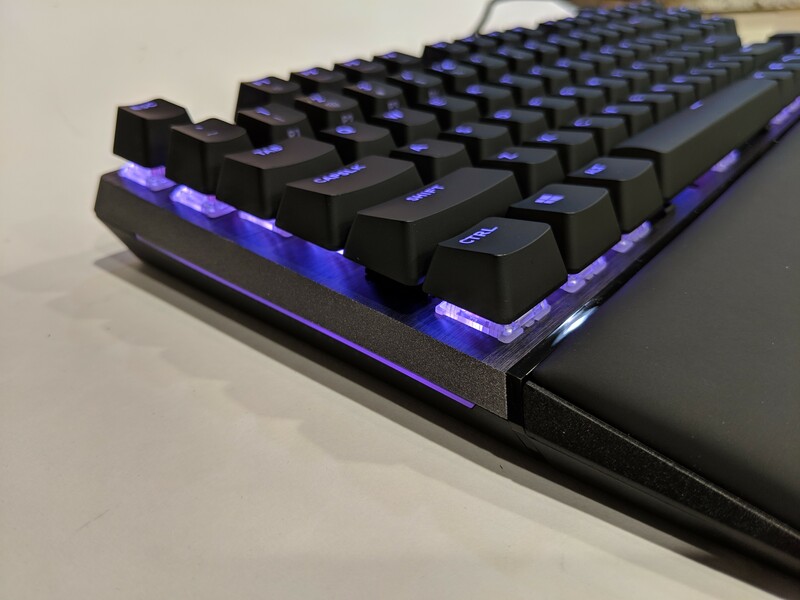 Like the keyboard, the wrist rest features rubber feet to ensure that it remains stationary whether it is affixed to the keyboard or floating in front. 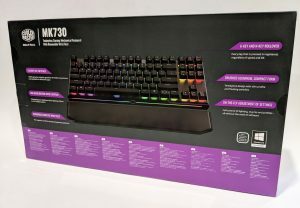 On paper the Cooler Master MK730 appears to check all the boxes for what we like to see in a keyboard. I especially like the use of the braided detachable USB Type-C connector. 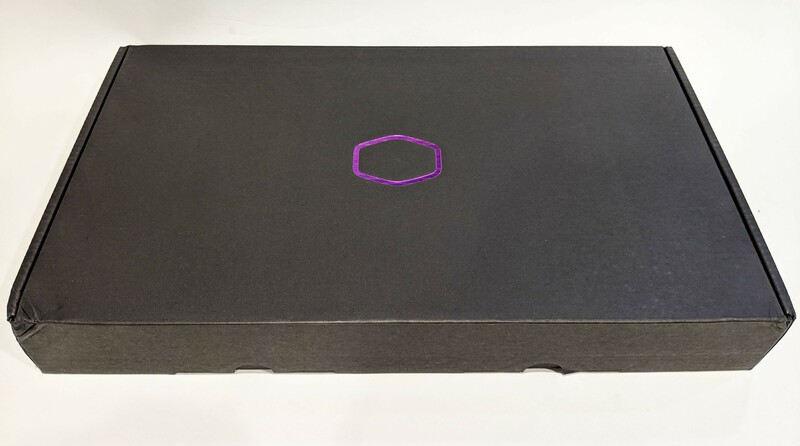 Now that we’re all experts, let’s take a closer look at the keyboard starting with unboxing. 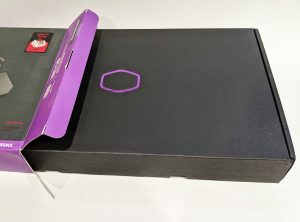 The Cooler Master MK730 arrived at our GND-Tech testing facility with some slight box damage thanks to our local mail courier, so pardon the scuffy and dented box in the images below. Though there was slight damage, no damage was sustained to the keyboard itself. 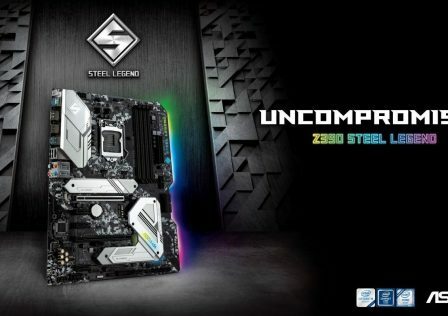 The packaging was true to the typical design we see from Cooler Master. 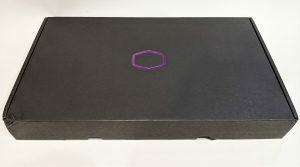 It featured a black and purple overall color scheme with the front featuring a nice display of the keyboard and wrist rest. The switch type is easily identified on the top right corner of the front of the box. 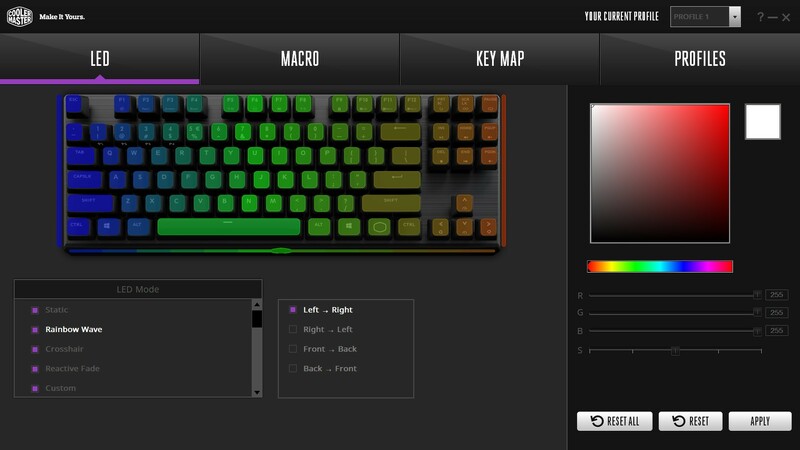 As you can see, we’re working with the Cherry MX Red model. 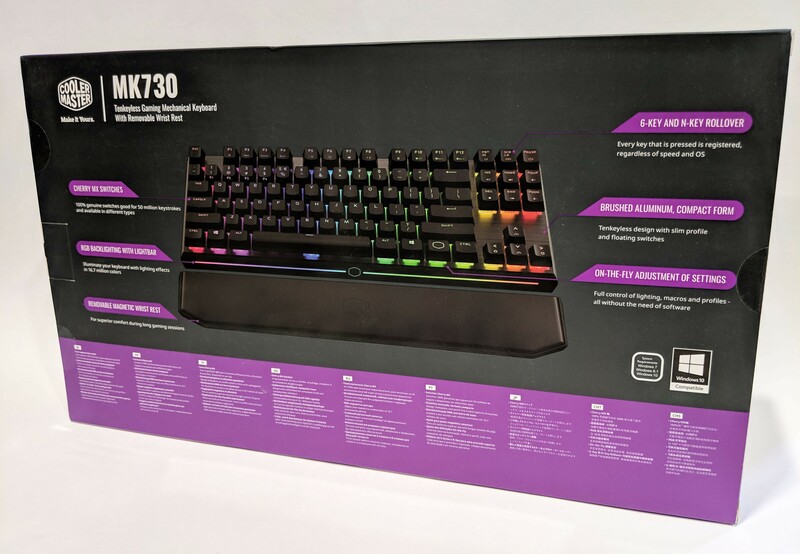 The back of the box highlights a few more key features such as RGB lighting, 6-Key and N-Key rollover, and a few others. Translations in various languages are also provided. Upon cracking open the outer seal, we’re presented with another, more sturdy box. This one black sporting the subtle Cooler Master logo in the center. With the inner box open we get a better sense as to the keyboard’s packaging. 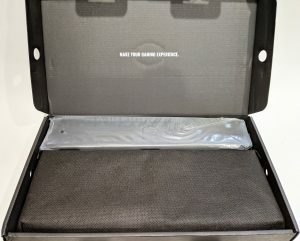 The unit is packed in a protective bag in the front with the wrist rest and the other included items towards the back of the box. The protective bag appears to provide excellent protection from both jarring and scuffing whilst inside the box. 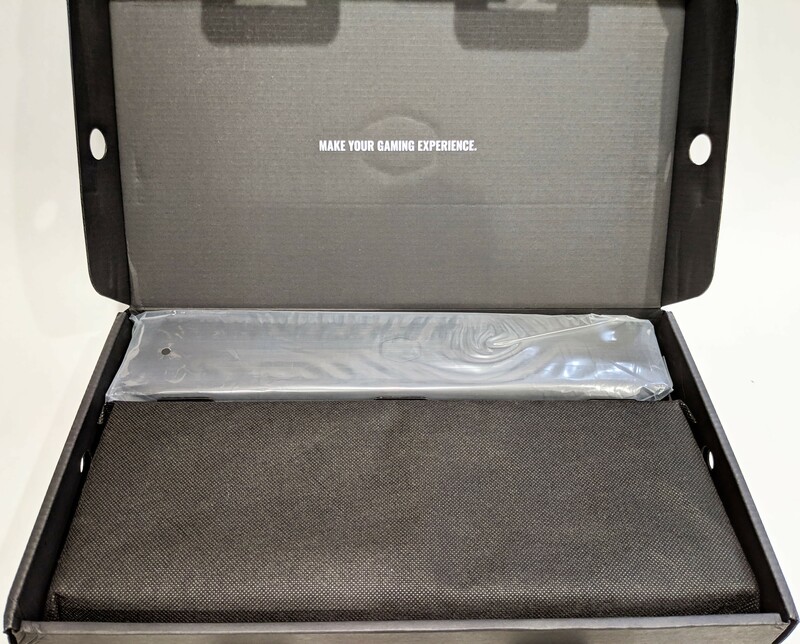 With the keyboard out of the bag, we can see that there is a bit more packaging on the bottom portion to remove which is to preserve the glossiness of the bottom portion. With it removed we’re able to step back and see the Cooler Master MK730 in all its shiny and metallic glory. 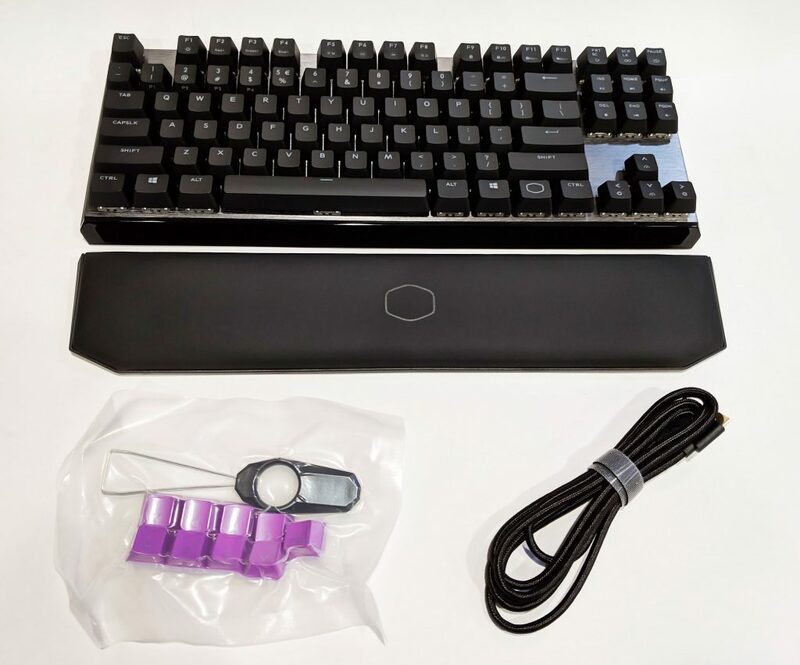 The other items included in the box is the wrist rest, the braided USB Type-C connector cable, a few extra purple keys which replace WASD, arrow and ESC keys, and lastly a key puller. The bonus keys and key puller are located inside a vacuum sealed bag to prevent them from damaging each other. 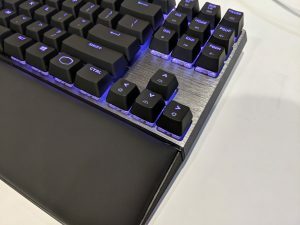 As the wrist rest is one of the more unique features of this particular keyboard, let’s go over that first. 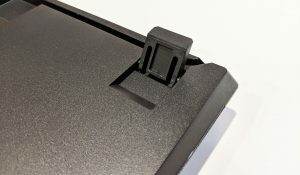 The unit attaches to the bottom of the keyboard by hidden magnets on the outside edge. This prevents it from accidental detachments while moving the keyboard around on the desk. While the magnets are strong enough to keep the two halves from coming apart, the wrist rest can be easily detached by giving it a gentle pull. The surface of the wrist rest is soft and squishy for maximum comfort. Like the keyboard itself, the reverse side features rubberized feet to keep it from sliding around. 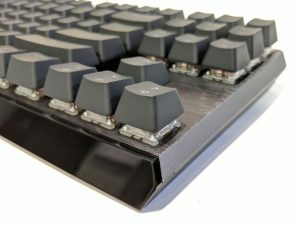 The surface of the keyboard consists of brushed aluminum with the Cherry MX Red keys installed directly to the surface. Unlike keyboards of the past, this method provides a much cleaner look while also making the keyboard vastly easier to clean. The Aluminum surface is a bit more coarse that what we’ve seen in the past with Cooler Master such as the CK550. Personally, I prefer the more rigid look. The back of the keyboard is pretty much like any other with a few note-worthy points. First, the back of the keyboard can be tilted up using the provided flip-out standoffs. 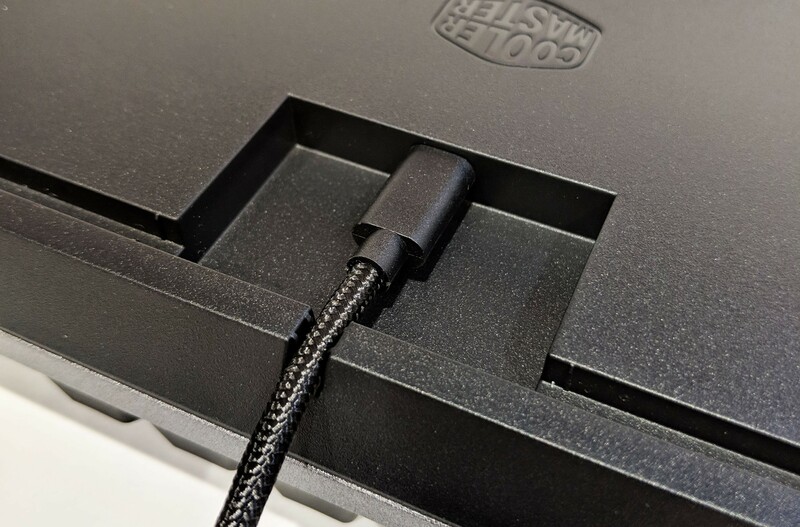 Also, for easier cable management, the cable can be routed through three different areas on the back of the keyboard, right, center, and left. The USB Type-C connector connects directly to the back inside cut-out area which can then be routed through whichever side you best see fit. 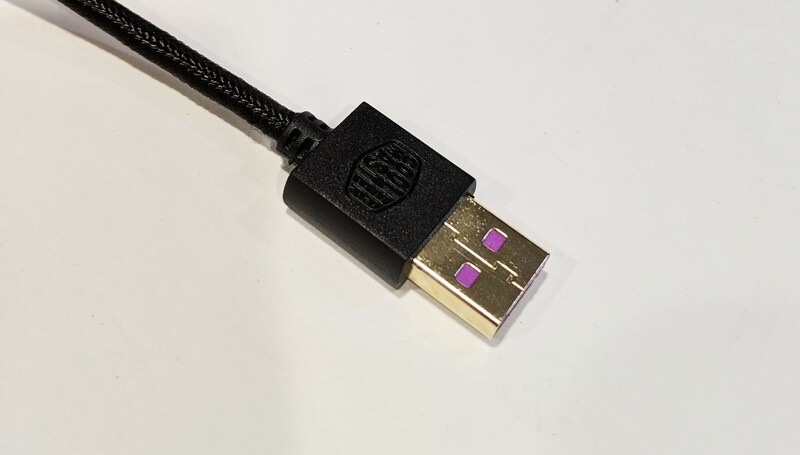 The USB cable is braided to provide a few more durability points (we pet owners appreciate this greatly). 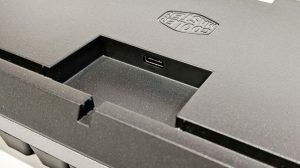 The USB Type-C end connects directly to the keyboard, while the USB Type-A side attaches to the PC. 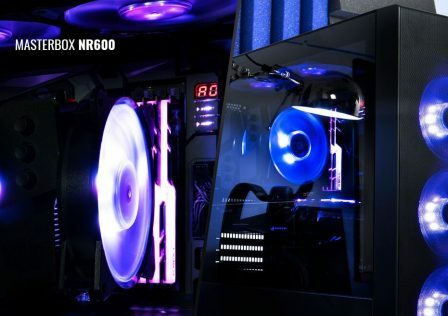 With the cable attached and connected to a PC, we are presented with some nice Cooler Master themed purple lighting. 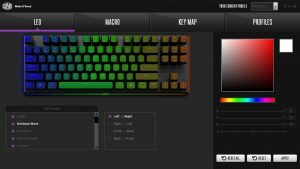 The LEDs can be programmed to do all kinds of cool effects and lighting options using key commands or Cooler Master’s Portal software (currently v1.01). 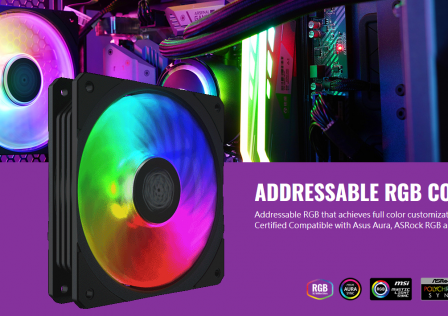 The RGB LEDs are overall quite bright and shine easily through the individual key designators. The LEDs also reflect off the metallic surface of the keyboard which gives a nice ambience in low light situations. 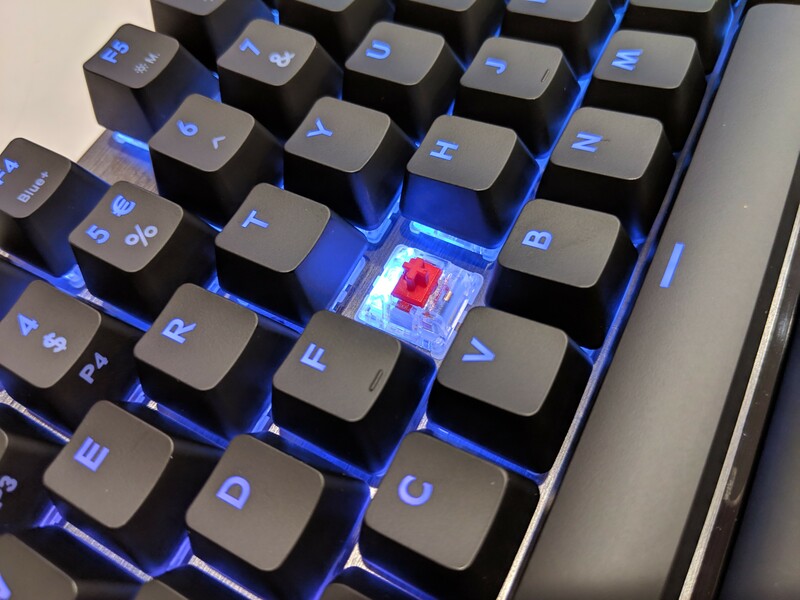 With the key cap removed the RGB led can easily be seen housed inside the Cherry MX Red switch. The housing of the switch is transparent to disperse the light around the outside of the switch. 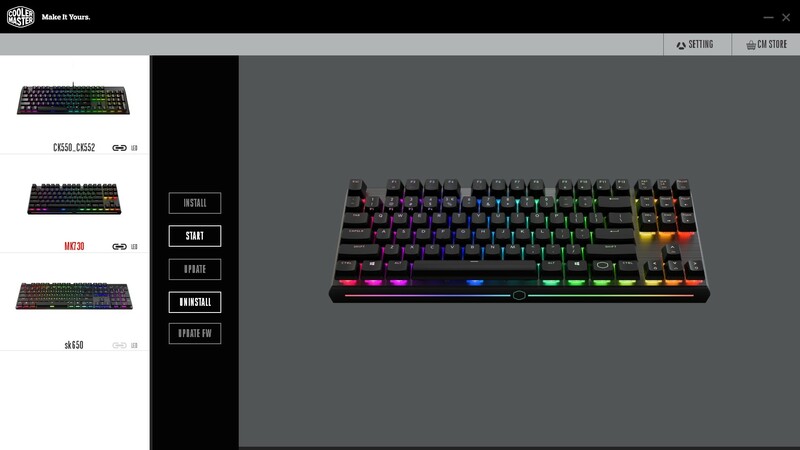 Besides the keys, RGB lighting is also provided to the front and either side. However, if you opt to use the wrist rest, you’ll cover up the lights on the front. 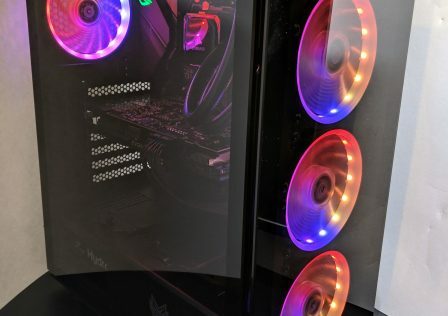 The front lighting consists of a soft glowing lighting strip with the Cooler Master logo in the center. Either side has a single strip from edge to edge. 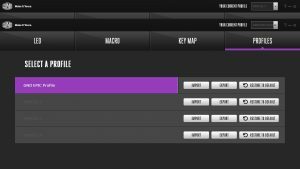 The MK730 uses optional control software which can be downloaded using the Cooler Master Portal. 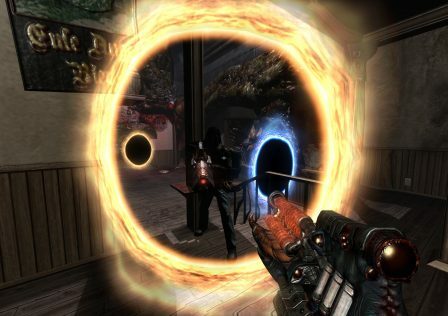 The portal acts as a central hub for connecting and managing multiple Cooler Master devices. The software is very easy to use and features large graphics and text all laid out in a logical format. 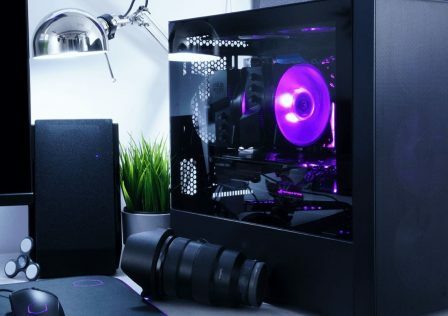 While the software is not required, it is recommended as there may be important firmware updates provided by Cooler Master. These could include functionality patches or bug fixes. 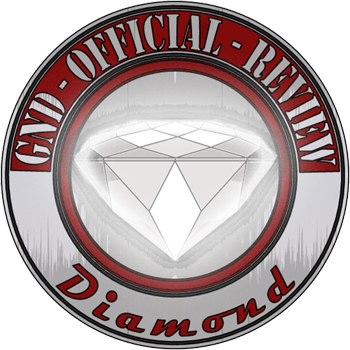 We at GND always recommend to upgrade the firmware if an upgrade is available just for this reason. 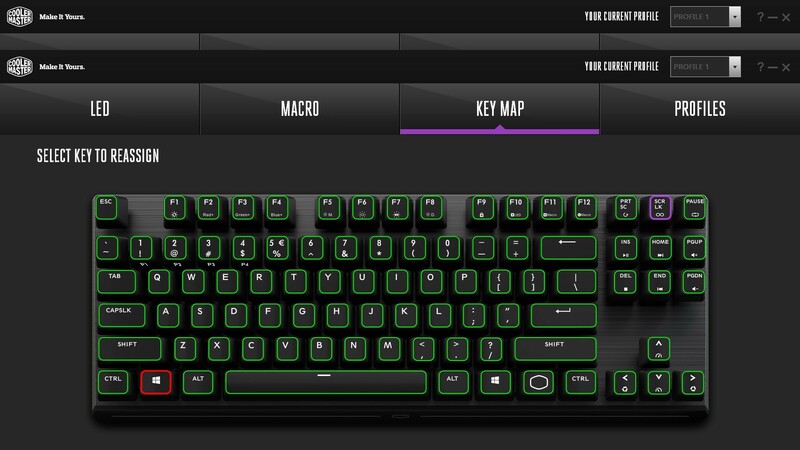 Each tab at the top allows for control overt different aspects of the keyboard such as RGB functions, Macros, and profile control. While the software is not required, we definitely recommend it to get the best experience from your MK730. Overall, the software is pretty self explanitory so we’ll let the screenshots do the talking. 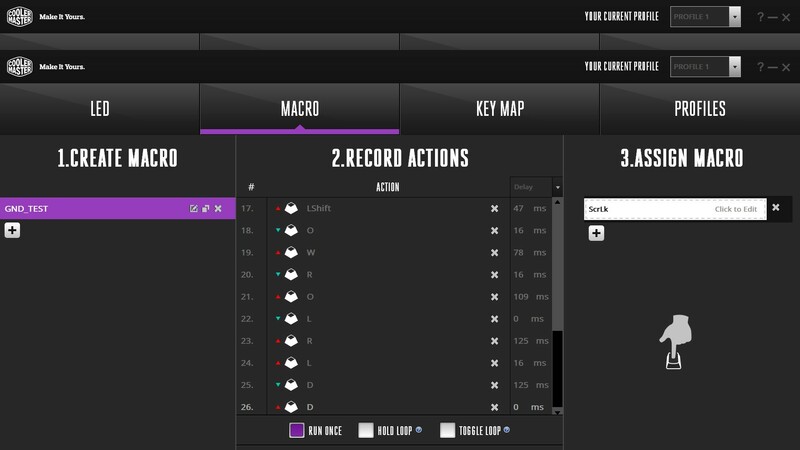 The macros section lets you create custom macros based on recorded key patterns or combos and then assign them to a specific key. I recommend assigning to a key you typically don’t use such as Scroll Lock as the MK730 has no dedicated macro keys available. 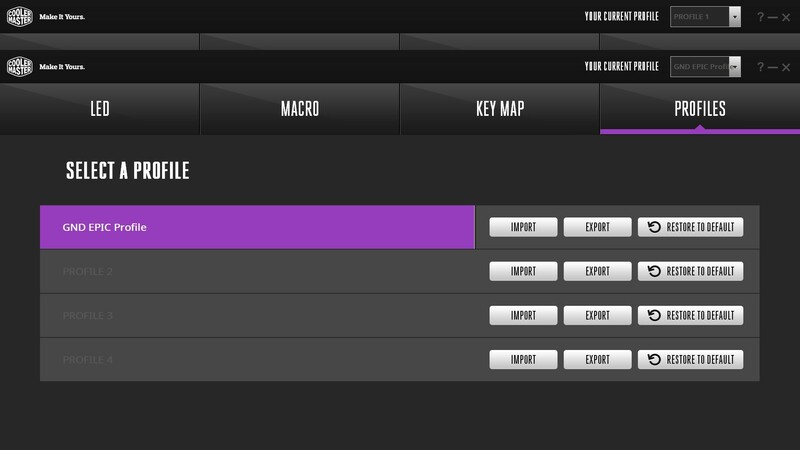 Another option you can leverage is to create a profile that has a bunch of assigned macros to the function (F1-12 keys). 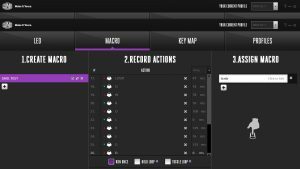 When in a game, activate the “Macro Profile” by hitting the quick key combo, and once finished, switch back to the previous profile to regain access to the standard function keys. 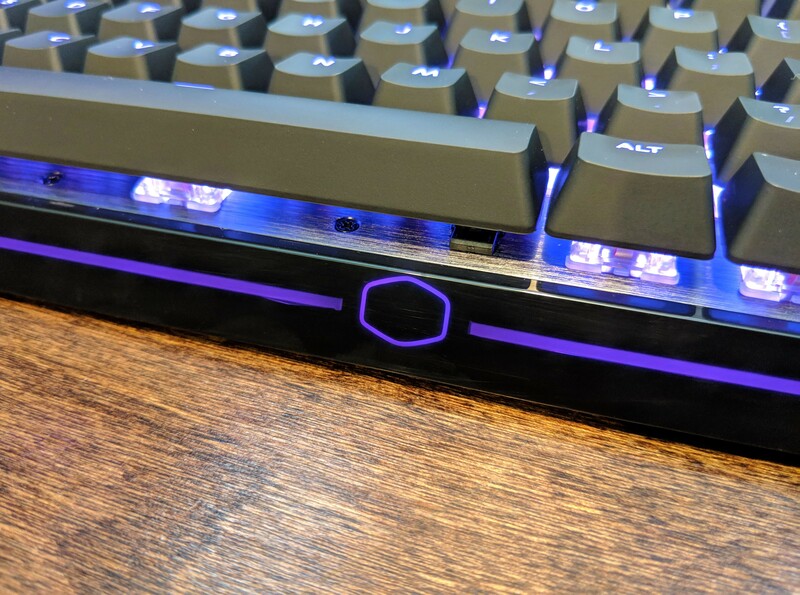 Note: The “FN” button is the Cooler Master logo button in between the right Windows and Ctrl key. Comfort & Ease of use – With the included wrist rest, comfort was probably one of the MK730’s strong suits. Even after hours of gaming, I was left with little to no fatigue. As my hands are larger I had to separate the the two halves. The same comfort could be said while typing this review. Key actions were quick and snappy. 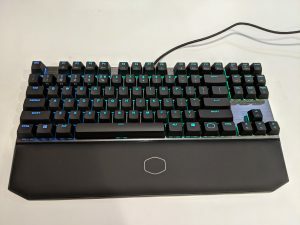 While Cherry MX Red keys are not my favorite, I was able to easily adjust my typing style and adapt to reduce the amount of accidental (false positive) key presses I was experiencing. 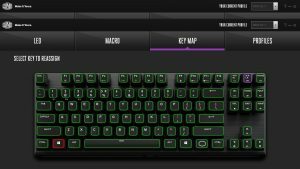 Performance – As gaming is the primary purpose of the MK730, after plugging in the keyboard, that was the first thing I did. 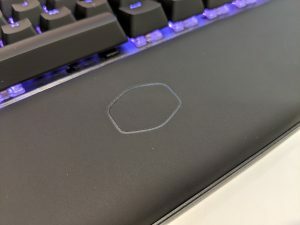 I sunk a few hours into Battlefield V and Destiny 2 and overall enjoyed the added comfort that the wrist rest provided. 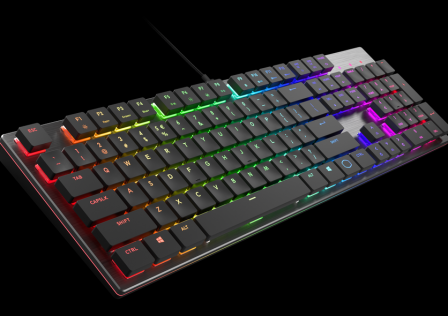 Actions were quick and snappy as you’d expect from any mechanical keyboard. The actuation point with the Cherry switches I’ve noticed is a bit higher (~0.5-1.0mm) than other switches such as Gatron. This of course will cause actions to happen very slightly sooner, however when it comes to typing, you might notice a few more false positives by hitting a side key. Without NKRO, you’d be limited to just six keys, as you can see in the image above, we achieved much more than that proving NKRO is doing its job! 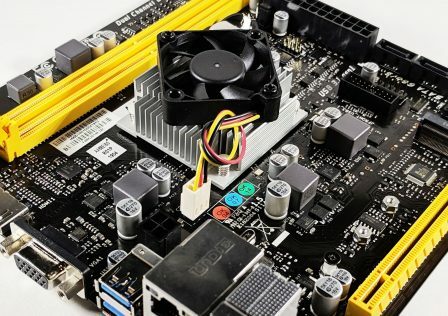 In the end, the Cooler Master MK730 was a lot of fun to use. 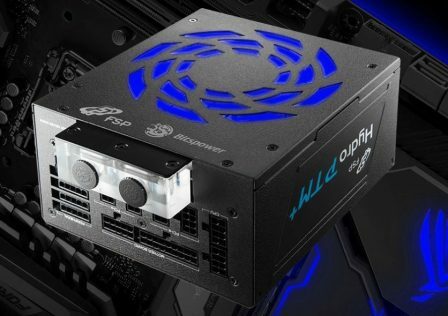 It’s packed with tons of features, many of which you won’t find with the competition such as USB Type-C support and edge RGB lighting. 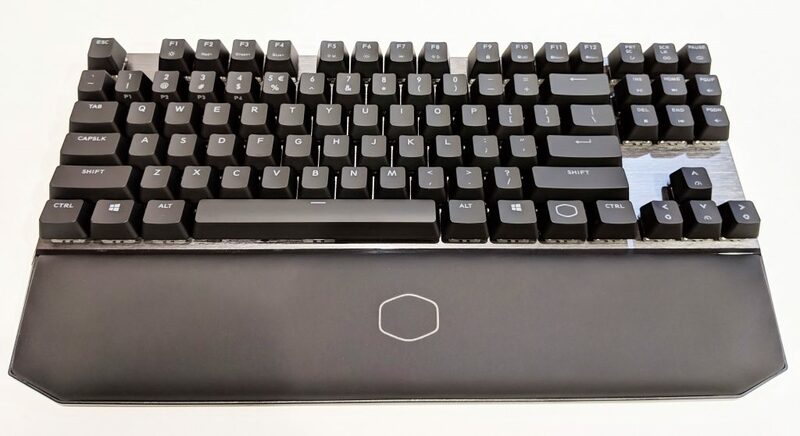 Design-wise, the keyboard looks fantastic. I’m really liking the rough looking brushed metal surface mixed with the glossy black front. The icing on the cake is the magnetically attached wrist rest. It is very comfortable and easy to position. My only gripe is that the front RGB lighting gets covered up if the wrist rest is attached. You really get a sense of “durable refinement” when using the MK730. Between the mechanical keys and the thick brushed aluminum surface, there’s no doubt that this keyboard will last many a gaming session for years. Construction: 9.3/10 – Overall, the construction of the keyboard is fantastic. The keyboard itself as well as the cable look and feel like it will stand up to some serious abuse. When handling the board, the overall feel is quite solid and weighted. 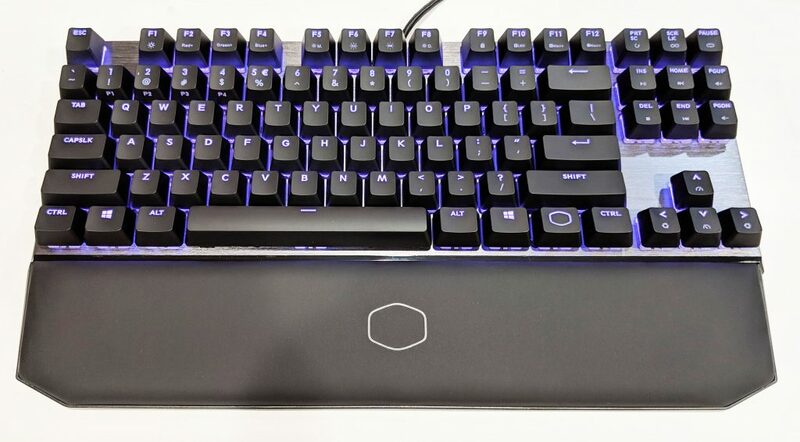 My only gripe is this category is the fact that the wrist rest covers the cool looking front LED strip and CM logo. Performance: 9.7/10 – The keyboard performed well when it came to gaming as well as typing, no doubt about it. While red switches are not my personal go-to, options for brown and blue switches are also available. Appearance: 9.5/10 – While looks can be subjective, personally I loved the overall dark and silver color scheme of the MK730. The brushed aluminum surface with the floating keys really gives the keyboard a premium look and feel. 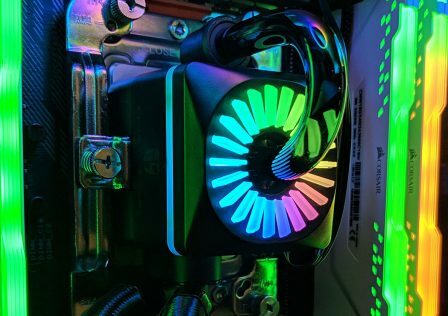 The LEDs are bright and crisp while the RGB effects are fun to play around with. 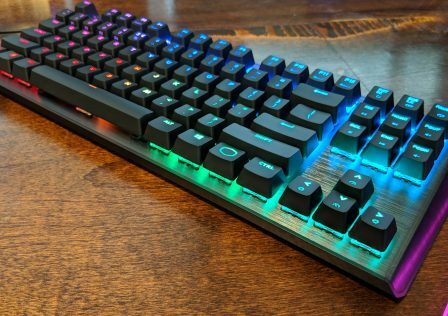 Value: 8.7/10 – MSRP for the MK730 is set to $119.99-$129.99 putting it to the mid-to-high price range for mechanical gaming keyboards. Considering most I found online don’t include a dedicated wrist rest, I’d say that the price is about what you’d expect to pay for a keyboard with as many features as this one has. You really get a sense of "durable refinement" when using the MK730.